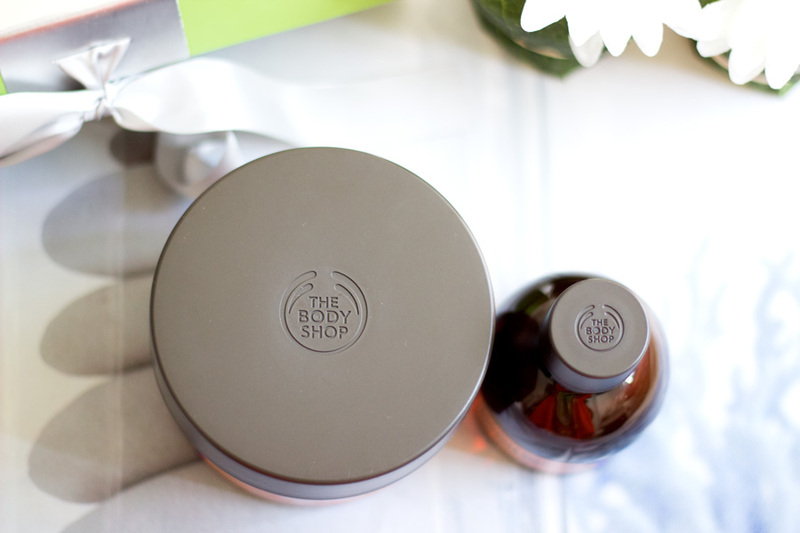 I am sure everyone must be tired of reading about the Body Shop Spa of the Worldrange but it is one of the best ranges (in my opinion) that Body Shop has launched. 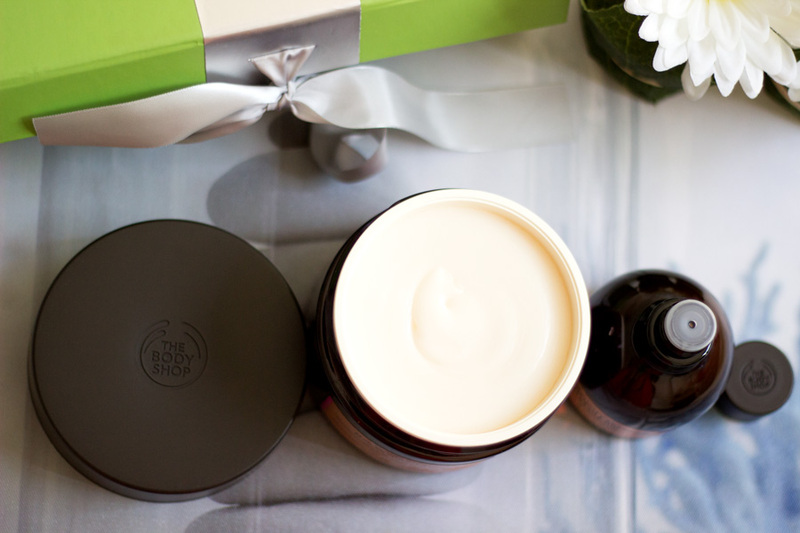 I love how Body Shop has totally revamped some of their ranges, packaging and formulas. 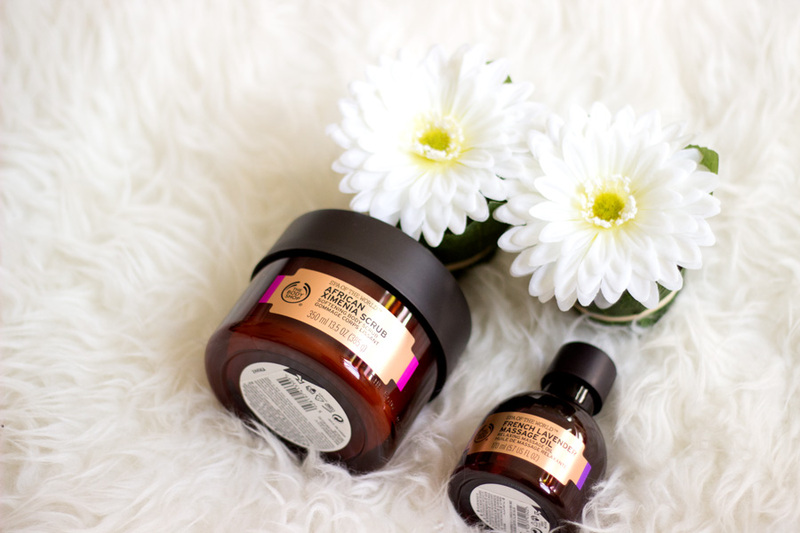 The Spa of the World range was launched during Summer and I was lucky to get to try the African Ximenia Body Scrub* and the French Lavender Massage Oil*. Before I got the package, I had been in-store to check the entire range out and I was already obsessed. There is a wide range of products to choose from which you can find here. I hear some of the products are limited edition while others will be permanent. I just hope they make everything permanent because the entire range is fantastic. Relaxing- Himalayan Charcoal Body Clay, African Ximenia Scrub, Egyptian Milk and Honey Bath, Japanese Camellia Cream and French Lavender Massage Oil. Revitalising- Dead Sea Salt Scrub, Moroccan Rhassoul Body Clay and Thai Lemongrass Massage Oil. Seriously, I have tried all the products in store and they are simply divine and it is very difficult to decide on what to purchase as everything is perfection. The sad thing is these products are not included in the regular offers and discounts Body Shop does so I can't really go crazy and do a large order. 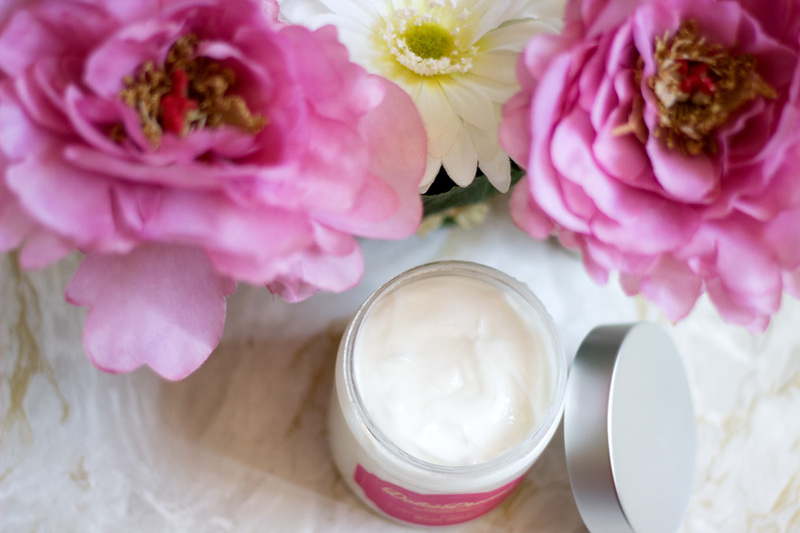 However, I know I would be purchasing either the Japanese Camellia Cream or the Hawaiian Kukui Cream. 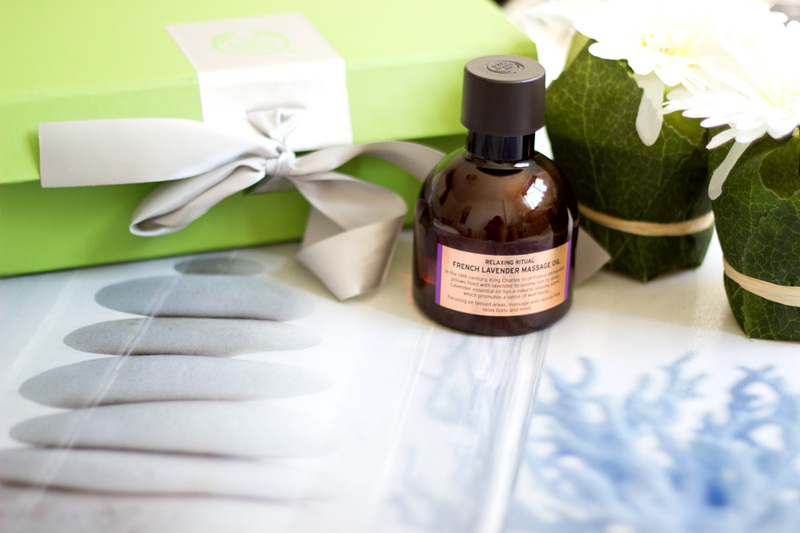 I need to also pick up the Polynesia Monoi Oil which I had used a few years ago when it was in its old packaging.. They are currently high on my wish list. 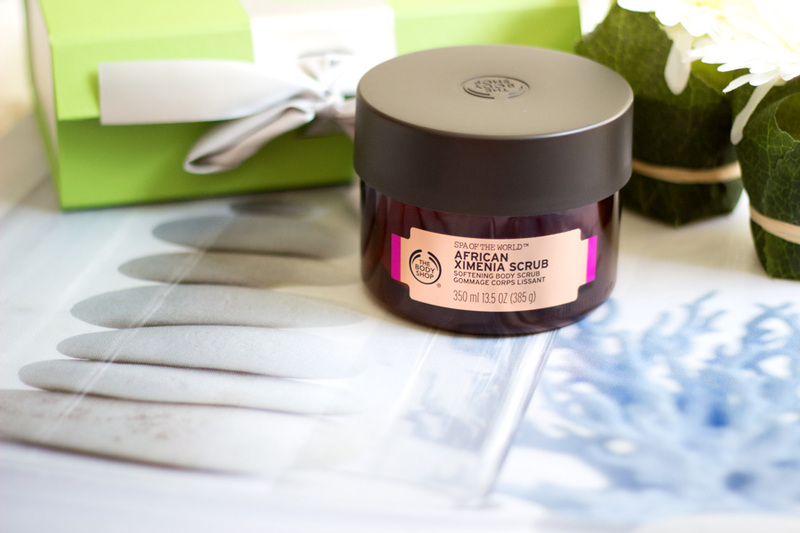 I feel super lucky to be sent the African Ximenia Scrub* and French Lavender Massage Oil* to try. They were sent back in August and I have enjoyed using them so much. You can find them featured previously here and here. 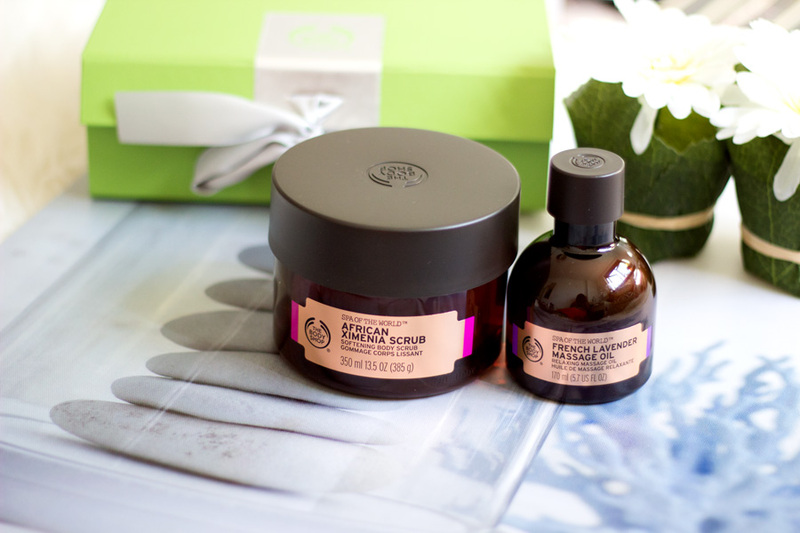 One winning point for this range is the new packaging that really goes with the whole spa theme. It looks exotic and really encapsulates what a spa product should look like. I love the warm colour scheme and it makes the entire range look so much more expensive than it is. In my bathroom, it just looks divine and add some much needed warmth to an otherwise cool/neutral bathroom. 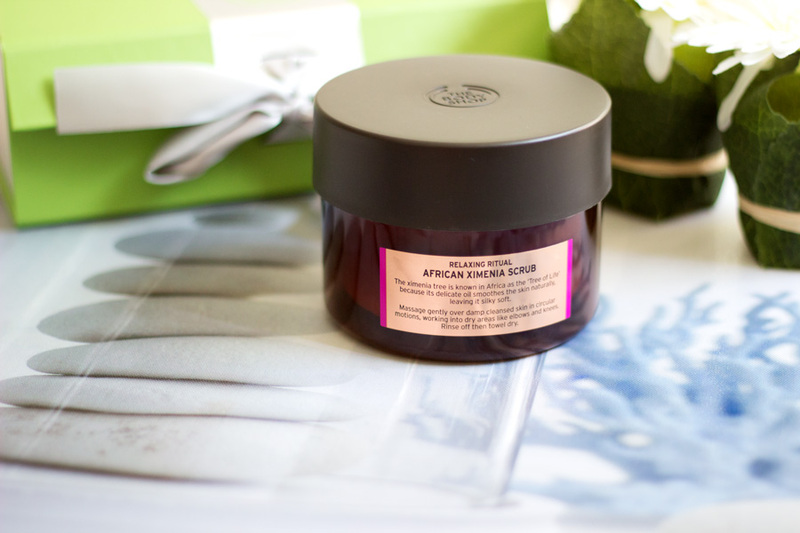 The African Ximenia Scrub is a really large tub containing 350 ml of goodness. The packaging is made from very sturdy material and you can tell it is high quality. The lid is weighted which makes it easy to grip if you have wet hands in the bathroom. It's also easy to clean which I like and none of the inscriptions have cleaned off despite living in my bathroom all this while. 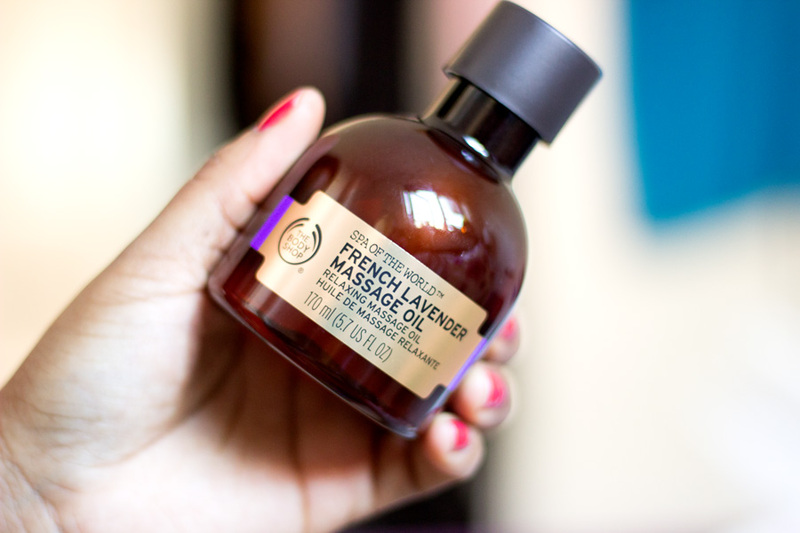 I also like the packaging of the French Lavender massage Oil as it looks very cute with a small opening to help control the amount of product. This has to be one of the best scrub I have ever tried and I am aware that's a pretty bold statement to make. I currently have three scrubs I am rotating and they all have various purposes, however, this is a good all-rounder. 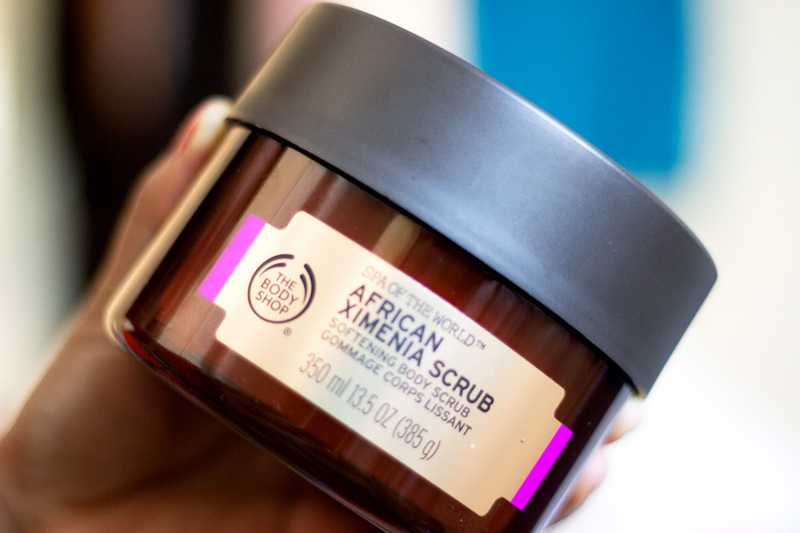 According to Body Shop, the African Ximenia Scrub is enriched from hand-picked Namibian Ximenia Fruit Seed also known as the "Tree of Life". It is well known for being an amazing body conditioner and this is exactly what makes the scrub one of the best I have tried. It has some granules in it which aids with polishing the body and they are just the perfect size. I have some scrubs that have granules that are either too small/fine and they don't do much and others that feel slightly abrasive. 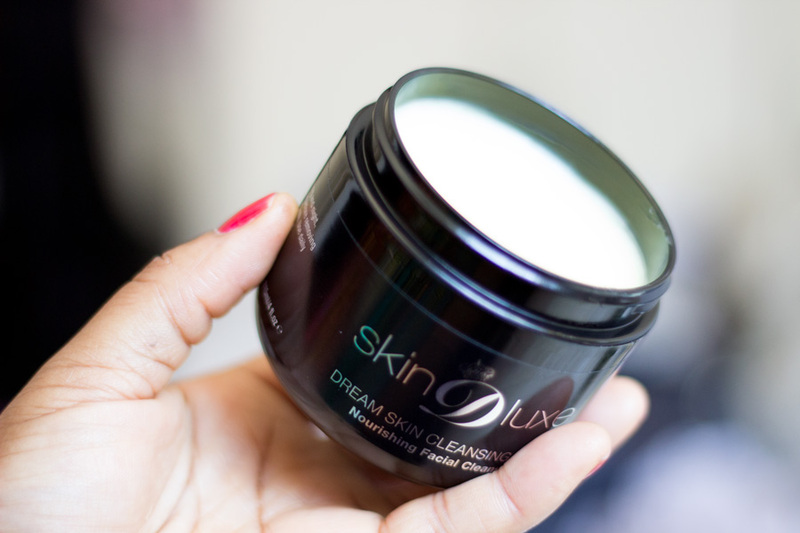 However, the African Ximenia Scrub granules hit the nail on the head with its texture and goes on so smoothly. It feel so luxurious on my skin and it's a pleasure to use. 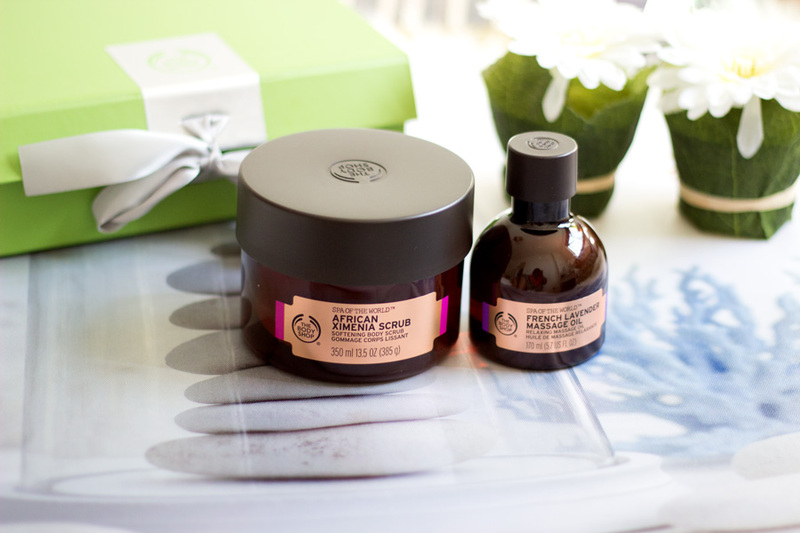 It's very hard to explain these things but I suggest asking for a small sample when next you are in Body Shop (they are always good with giving out small samples). 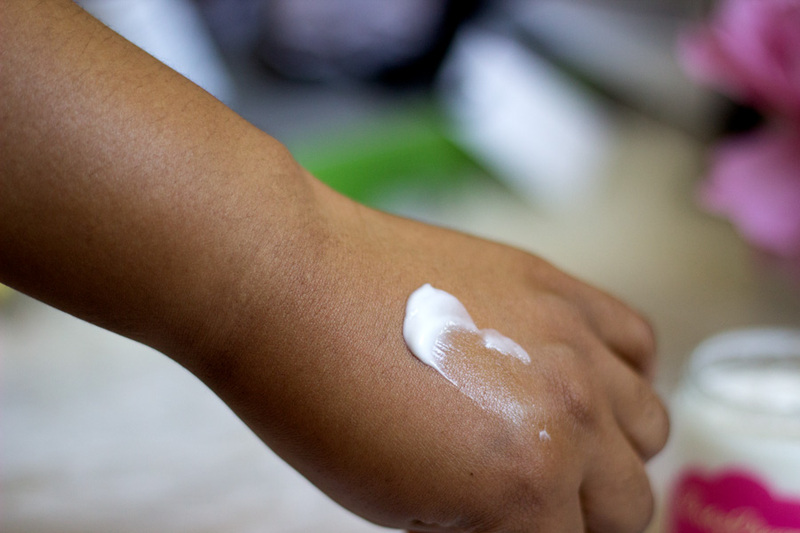 I start off with using a small amount and rubbing it in gentle circular motions around my hands (elbows), knees and my décolletage. These are the areas that need gentle exfoliation and this scrub has been so helpful in smoothing these areas out. 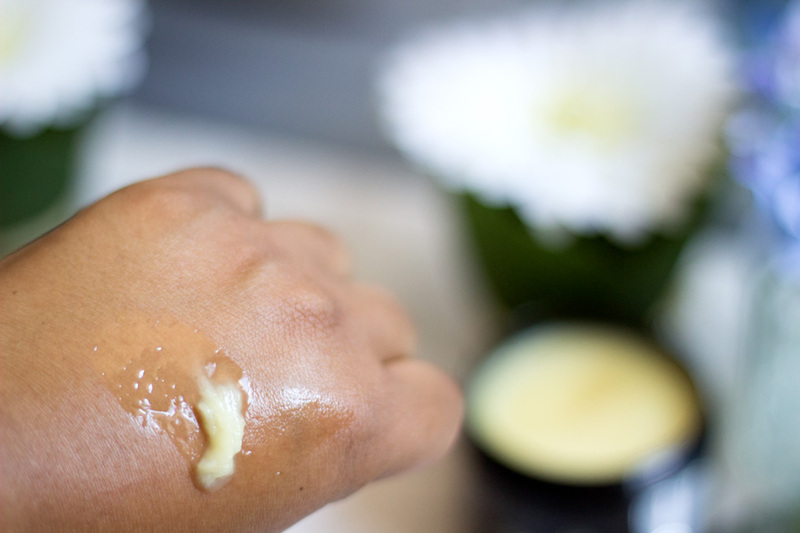 The good thing about this scrub is it also has a moisturising element to it so it does not strip your skin out or leave it oily; it just leaves your skin supple. Lastly, it smells so divine. I know this sounds weird but I find the smell very relaxing and even when I am not using it, I just have a little sniff (sounds so wrong but I am telling myself it's normal). I can't think of anyone saying anything bad about this scrub as it's just so lovely. Plus, it's of African Heritage so I am super proud !! 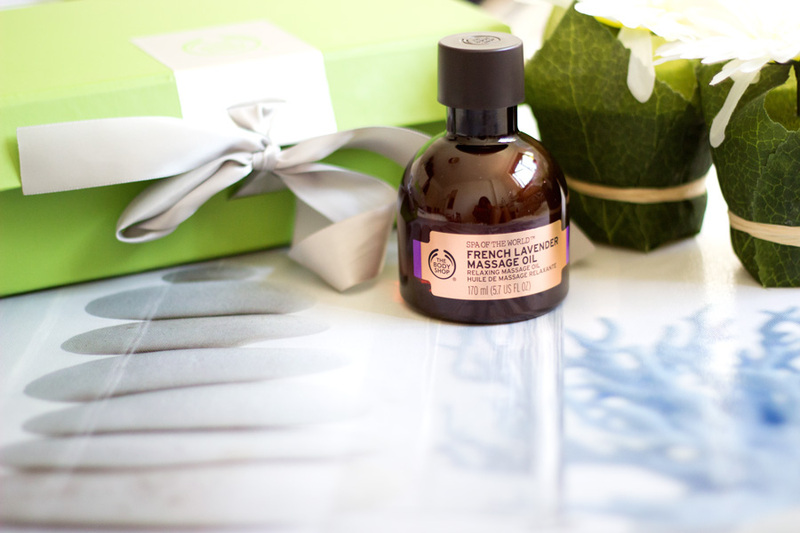 I was really delighted to find this French Lavender Massage Oil in the package I received because I was looking to try anything with lavender as I heard it is relaxing (I have since got more products with Lavender which I will be talking about soon). I am sure everyone must have come across Lavender Oil at some point because it is really one of the best/natural essential oils for relaxation. Body Shop have taken it a notch higher by sourcing lavenders from the South of France which I hear has one of the best types of Lavender. Lavender in itself is well known as a naturally calming scent that promotes well-being and helps de-stress body and mind. Lord knows I needed a lot of that this month (I will be updating you all soon). 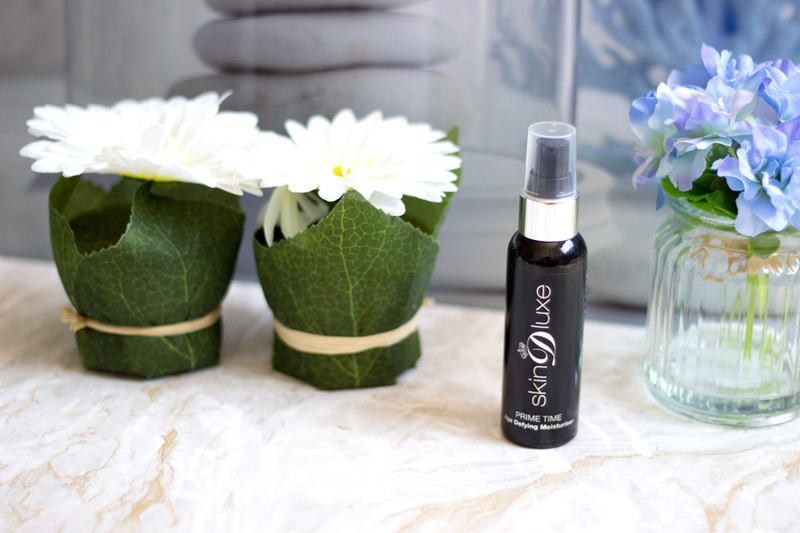 I already mentioned that I like the little opening at the top of the bottle because it allows you have so much control over the product. I only use a few drops after I take a shower and apply it around my pulse points. 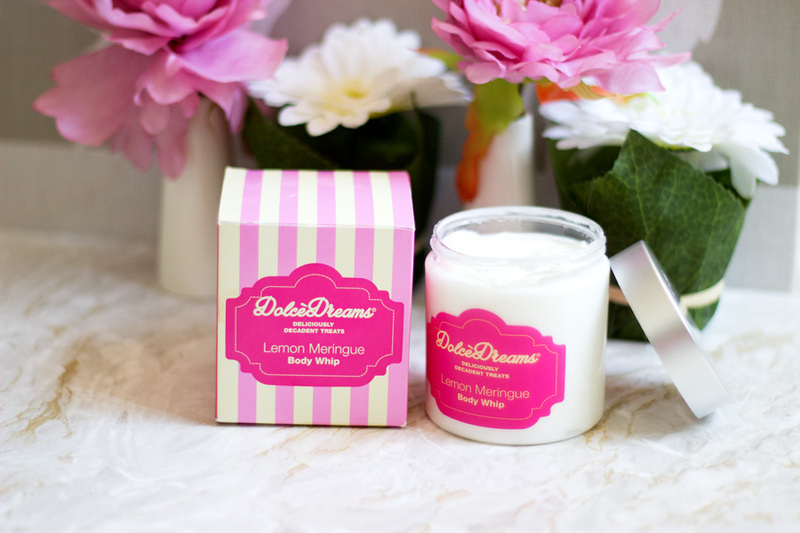 I love how easy the fragrance travels as I can feel its relaxing effects quite quickly. Sometimes, I use a few drops in between my palms and give a little rub and inhale it. It really helps me relax which is why I reserve it for night time and/or pamper session. I don't use it every day but it's always a treat each time I use it. It's also perfect for massaging but massages are only fun when someone else gives it to you. I am not good at giving massages at all but the BF had some pain around his legs and I used this around the area with a damp cloth and he said it was deeply relaxing. Maybe I am getting better or it may just be down to the French Lavender Massage Oil. One thing I really like about it is the texture which does not feel greasy at all. As much as I love oils, I prefer really light ones or dry oils and this oil feels super light (not drying though) and gets absorbed easily. 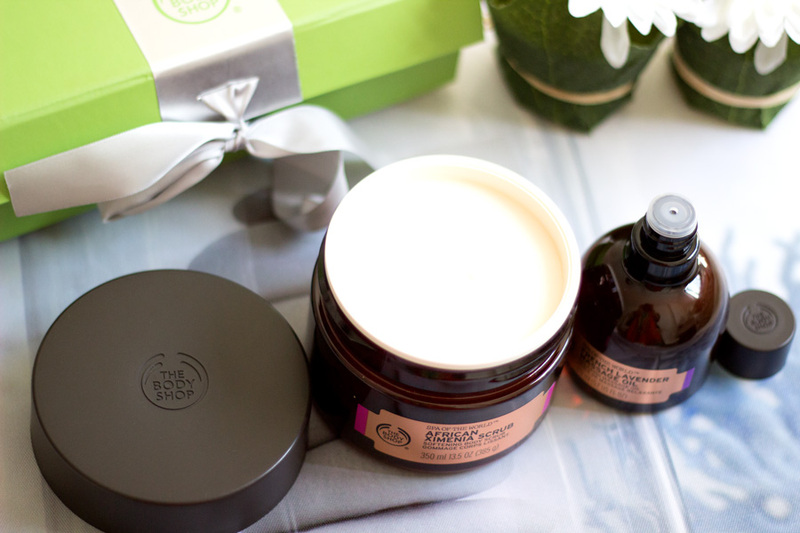 I am obsessed with the Body Shop Spa of the World range and I am sure I am not the only one in this boat. 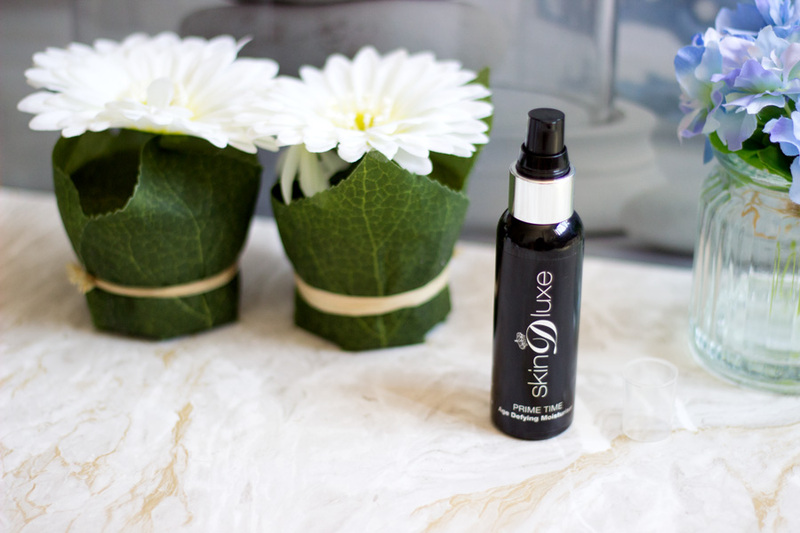 I have read so many raving reviews about this range and it truly lives up to the hype. 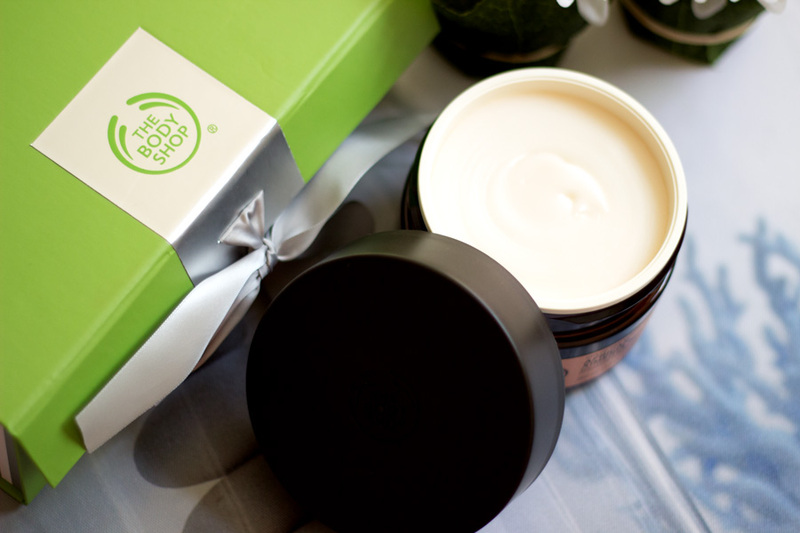 I love everything about the range down to the packaging and the quality of ingredients used. I do think most of the products are reasonably priced although the creams are slightly expensive at £23, however you are getting a huge tub/jar which would last a pretty long time. As mentioned earlier, the Spa of the World range is excluded from the usual Body Shop offers and discounts so it's full price all the way!! However, I am still definitely purchasing the Japanese Camellia Cream and the Polynesia Monoi Oil because I have checked them out in store and they are right up my alley. 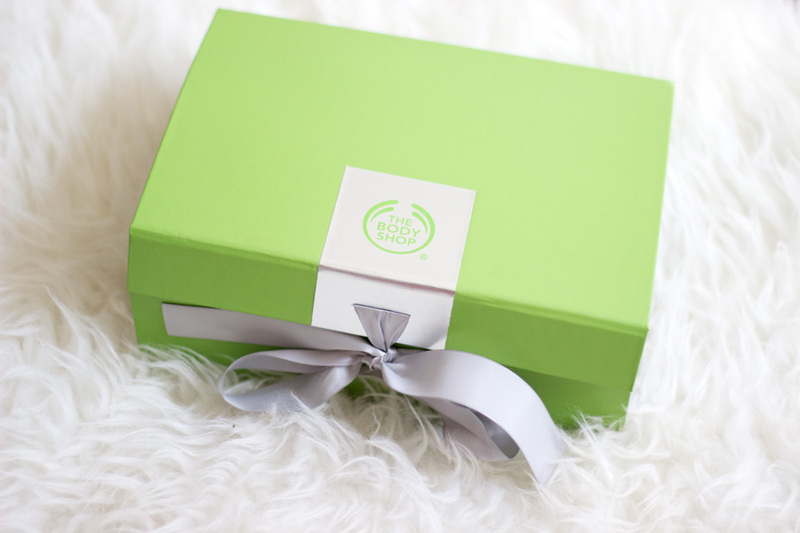 I also love to support brands that support my blog and Body Shop is one brand I love to support even way before they started sending me products to try. They are amazing and I am loving their new approach to redesigning their products. 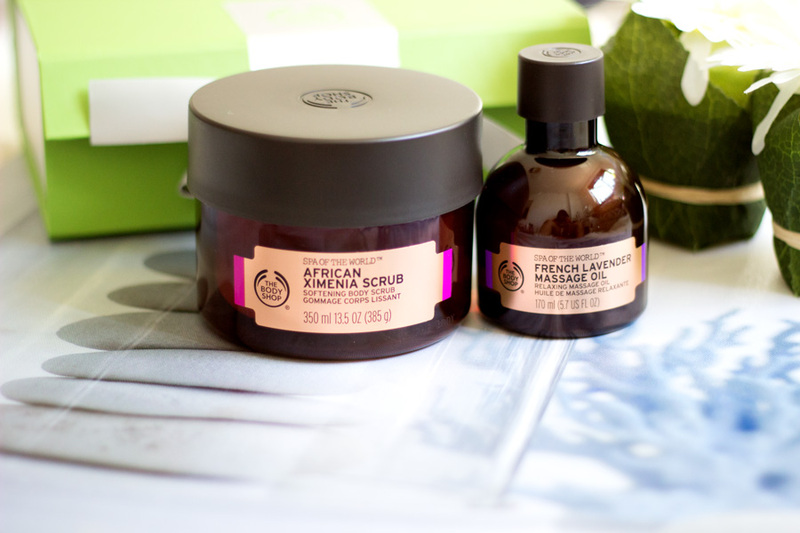 Have you tried any products from the Body Shop Spa of the World range? *PR Sample + Affiliate Links used above, read my full disclaimer here. 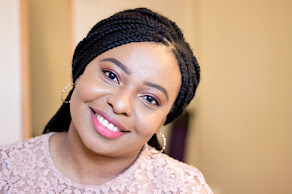 If you are a regular reader of my blog, you would've noticed that I am all about my skin and skincare. I always feel like if your skin is in good condition, it is always the best. I don't particularly have the best skin but surprisingly people tell me my skin looks really good sans the annoying dark blemishes from previous acne scarring. I guess when you have acne and acne scarring, you forget or fail to appreciate the actual texture and general condition of the skin. Thank goodness, my skin has been on its best behaviour for a while now (except last week when it decided to break out due to some stress I had). Anyway, I have a powerful arsenal of products that I reach for to ensure my skin is in good condition. I have one trusted stash for treatment and another for TLC. Of course, living a healthy lifestyle is one key to maintaining great skin but skincare products also help with the process. 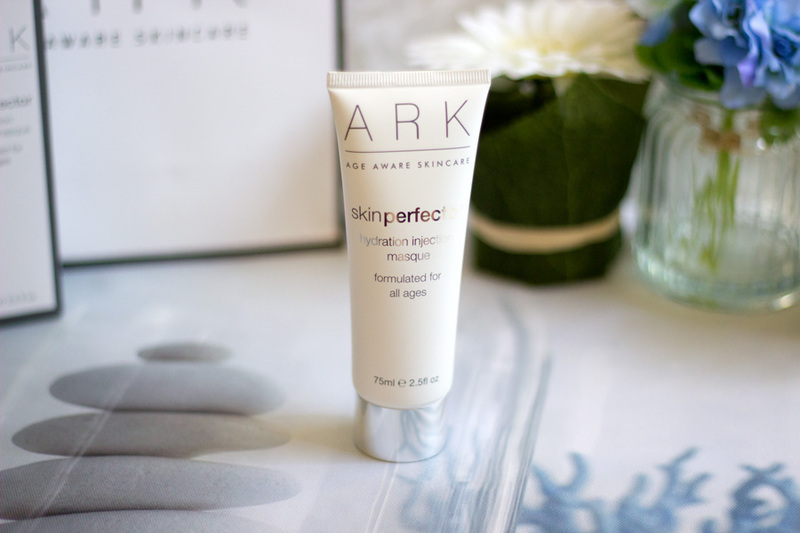 Today's post is all about the Ark Skincare Hydration Injection Masque* which I was kindly sent more than a month ago. 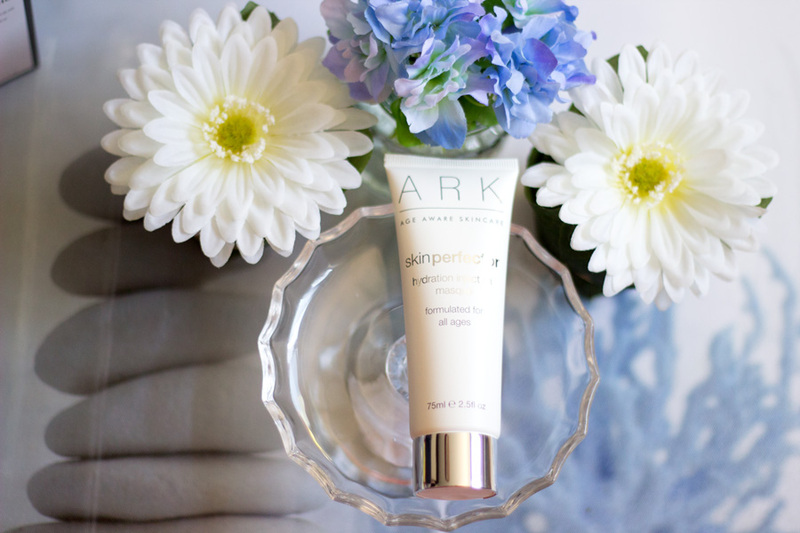 This mask belongs to my TLC arsenal of skincare products because it works to soothe and calm my skin while providing good skin benefits. You may already have seen it featured on here a couple of times because it is one mask I really like. You all know I am all about packaging and I am really pleased with its pristine white packaging. Everything from the packaging down to its presentation when I received it in the post was top notch and I was truly impressed. I remember posting about it on Instagram and someone commented that it reminded her of Chanel Packaging (the carrier bag not the actual product) and I completely agree. 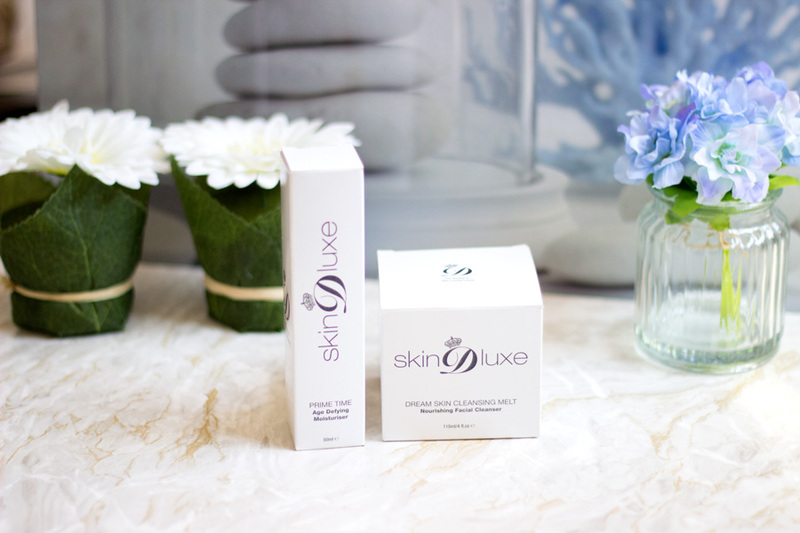 The product itself comes in a 75ml tube with a silver-like lid which adds to its luxe appearance. The lid does not flip out like some tubes instead it slightly opens which gives me good control over the amount of product I need to use. It is a little pricey so the last thing one wants to do is waste it by dispensing more than you need. One of the properties that endeared this mask to me is the texture. 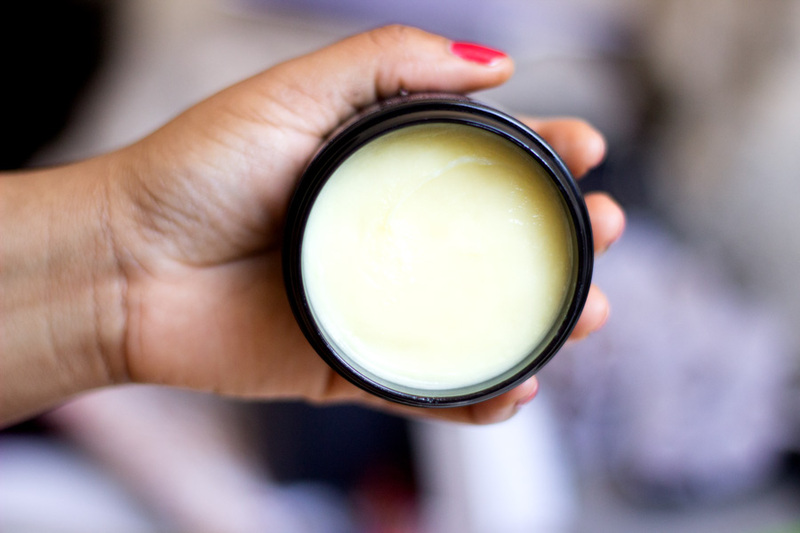 It feels exactly like a balm that would be used in the spa with the accompanying smell. I really like the texture and it makes the mask feel a little more like a well needed TLC Pamper mask. It goes on very smoothly and the instruction says to use a light layer to cover the entire face which is precisely what I do. It may seem like a light texture but a little goes a long way. It also feels silky to touch and this helps with its application and I am glad its silky texture is not the type that just slides off my face. The ingredients list is an impressive one and I always check products for their ingredient list before I purchase or agree for a sample to be sent to me. 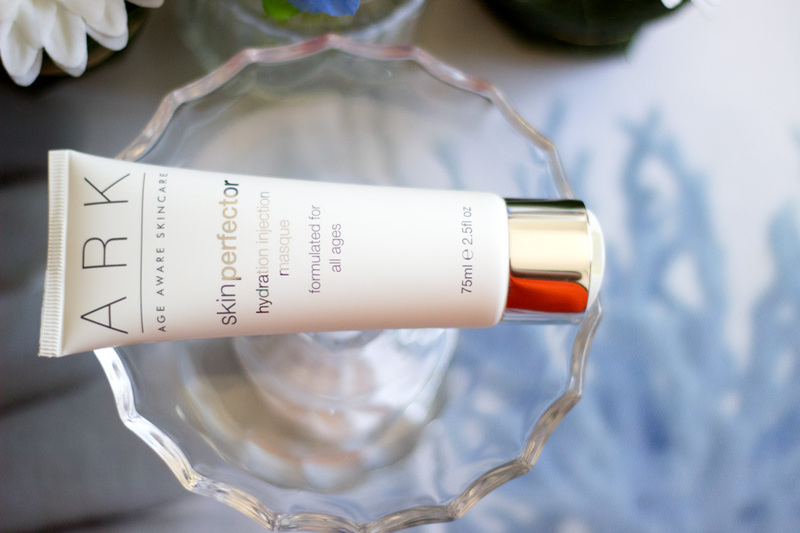 It just makes life easier for everyone because I am particular about what goes on my skin as skincare. There are some ingredients that I know would always work for me and some of them include Vitamin C, Glycolic Acid, Lactic Acid, etc. so I always look out for these ingredients in skincare products I want to purchase or PR samples. 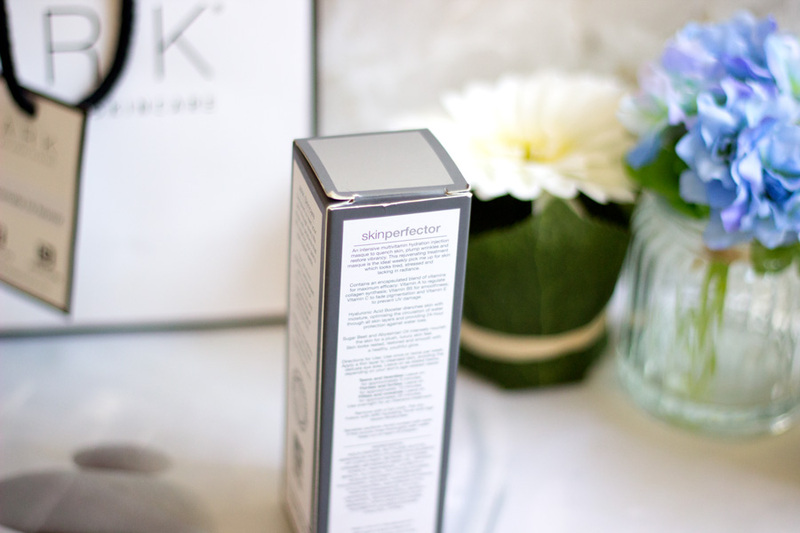 When I scanned the ingredients list and saw that it contained Vitamins A, B5, C and E, Hyaluronic Acid Booster, Sugar Beet and Abyssinian Oil among other ingredients, I knew we would get along. I am a huge fan of both Vitamins A and C because Vit A is a retinoid which helps with cell renewal and Vitamin C helps fade pigmentation. I am sure everyone knows what Hyaluronic Acid does and it mainly acts to ensure that the skin's hydration is well optimised. I am really pleased with the ingredients list and I guess that's why it works well with my skin. 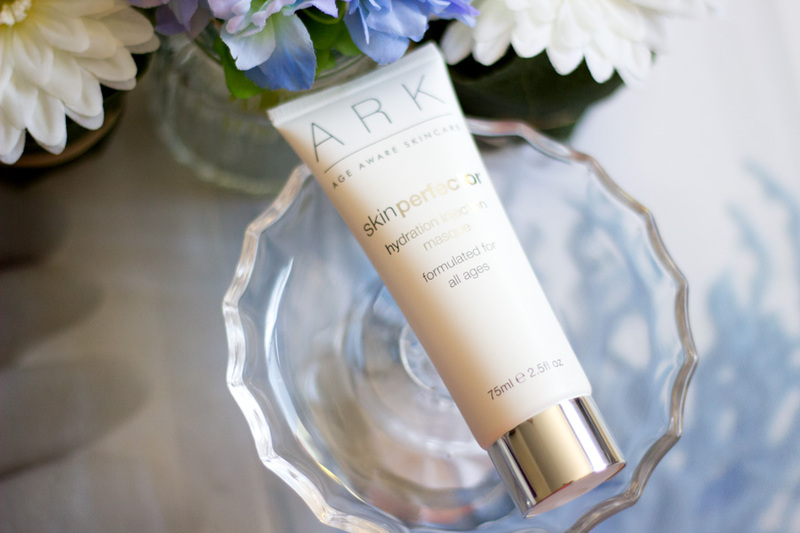 Ark Skincare describe this mask as an intensive multivitamin mask designed to quench and hydrate the skin, plump wrinkles and restore vibrancy. 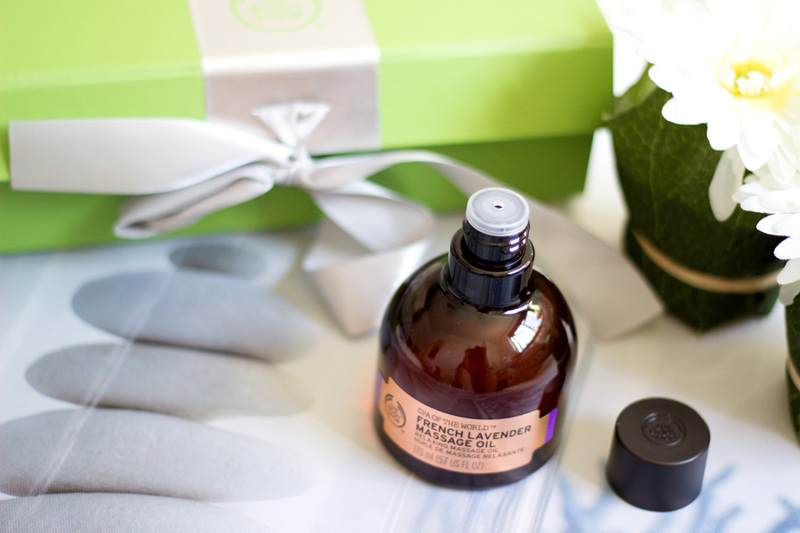 It is also ideal as a weekly pick me up for skin which looks tired, stressed and lacking in radiance. The Hydration Injection Masque as a mask that is suitable for all skin types and people of any age. 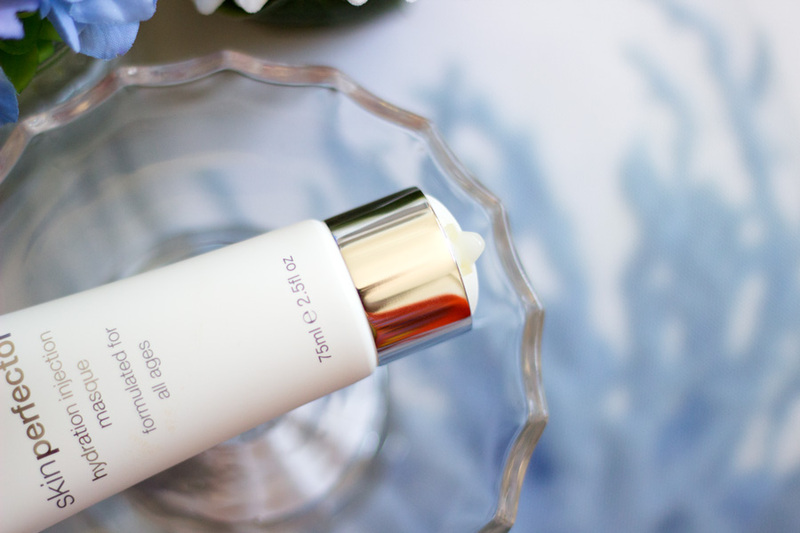 It is This masque is also part of their Age Aware skincare range which has developed products to suit different ages which I find very interesting. 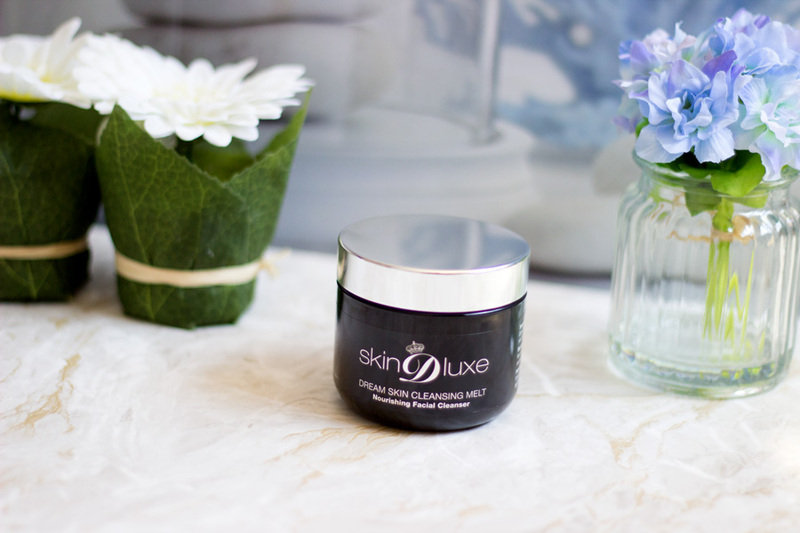 I think it's a really good concept to create a skincare range to suit various ages , however, I am glad this masque caters to any body of any age range. The unique thing about the Hydration Injection Masque is that it is designed for all ages and the only difference is the duration the mask should be left on for. Based on the instructions on the masque, I can deduce that matured skin have to leave it on for longer to get better benefits as opposed to younger skin. 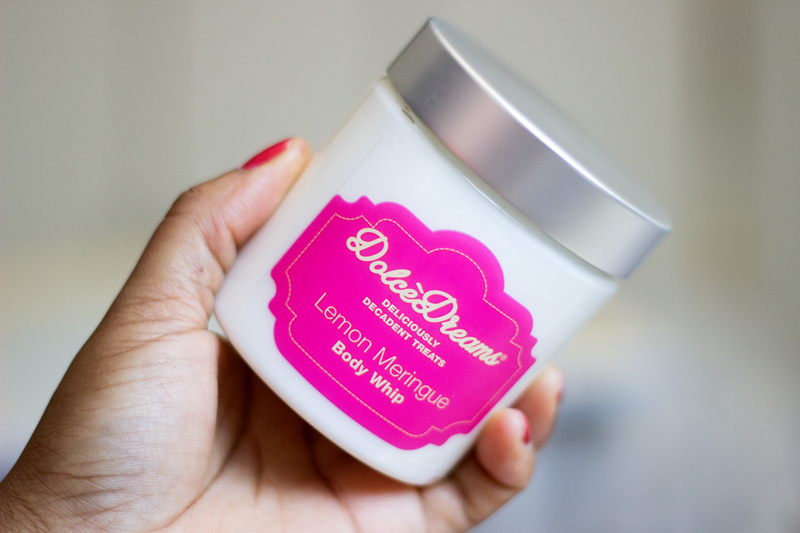 I used it the very first time I received it because I had a long day and my skin was in dire need of some TLC. I removed my makeup and cleansed my face properly before applying the masque. 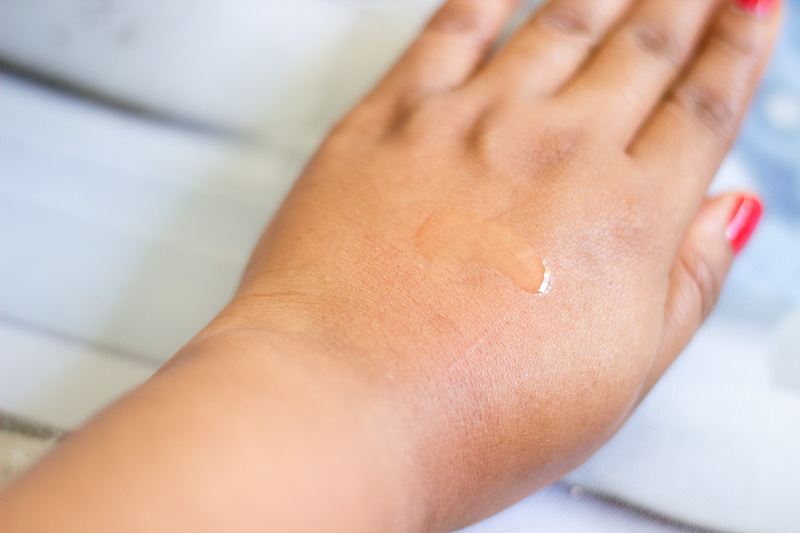 It felt a little tingly when it hit my skin and I was a little surprised about that because I did not expect that to happen. I guess this may be down to the Vitamin C content of the masque but I honestly don't mind tingling sensations as I feel the product is working (although I have used other products which don't tingle but work well). Based on my age range, I should have left it on for 5 minutes but it felt so lovely and I left it on for 20 minutes instead. I removed it with a hand-hot muslin cloth and patted my face dry. My face felt visibly soft, smooth and plump. I think the results on the first day is really impressive and it made me want to use it almost every day but I held back as I did not want to waste it. 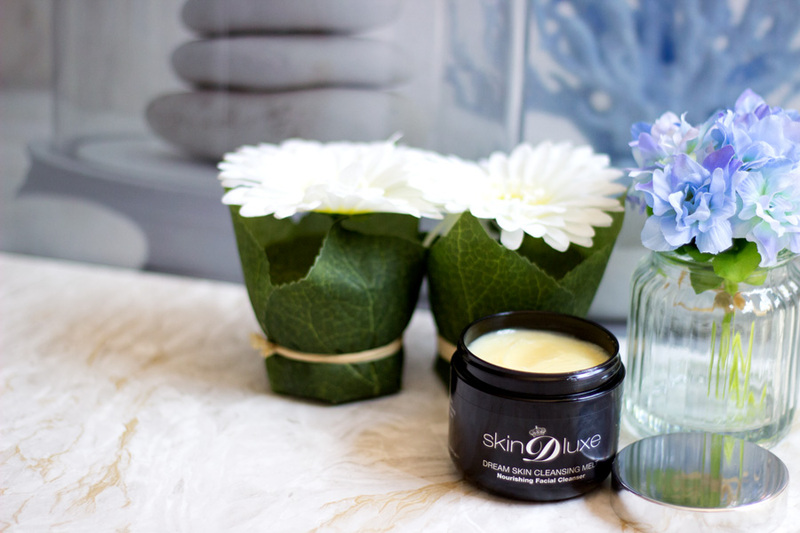 If you have dry skin or combination oily and dehydrated skin like mine, you would really enjoy this mask because it feels so nourishing and hydrating. I have used it many times since I got it and I am always impressed with the results I get. I think it feels slightly more effective now that the weather has changed and my skin is getting a little bit dry and dehydrated. Even from the packaging, I am sure you can tell that it is not a particularly cheap mask. It retails for £35 a pop which I think is slightly on the high end. However, I don't have any mask that is similar in texture and efficacy as this mask. It contains some of my favourite ingredients that I know always work for me so I would say, in my opinion, that I can understand why it is expensive. However, I know that's not everyone's cup of tea and some people prefer more affordable options. 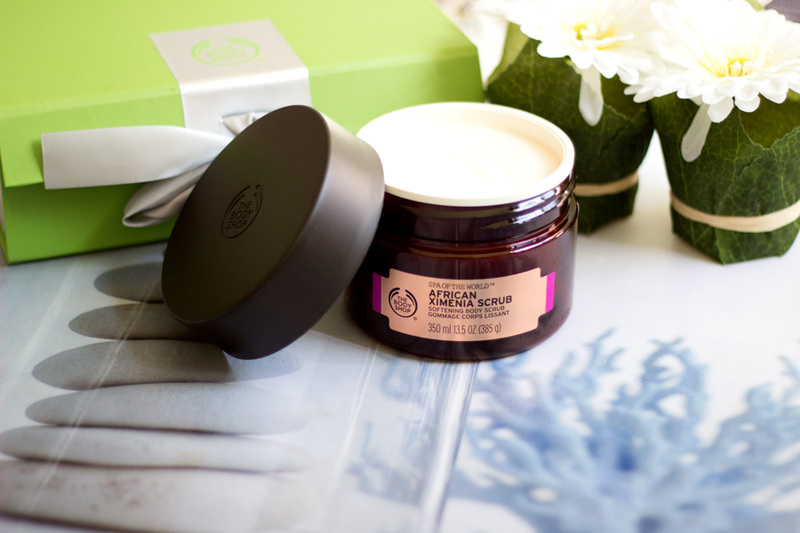 If you are looking for mask that would offer really good benefits and works well for a range of skin types, it is one to add to the wish list. It really gives you the feeling of a spa and it's totally amazing for pampering and winding down. I think the only con I would say is the price as it costs £35 and I understand that may not be within everyone's budget. 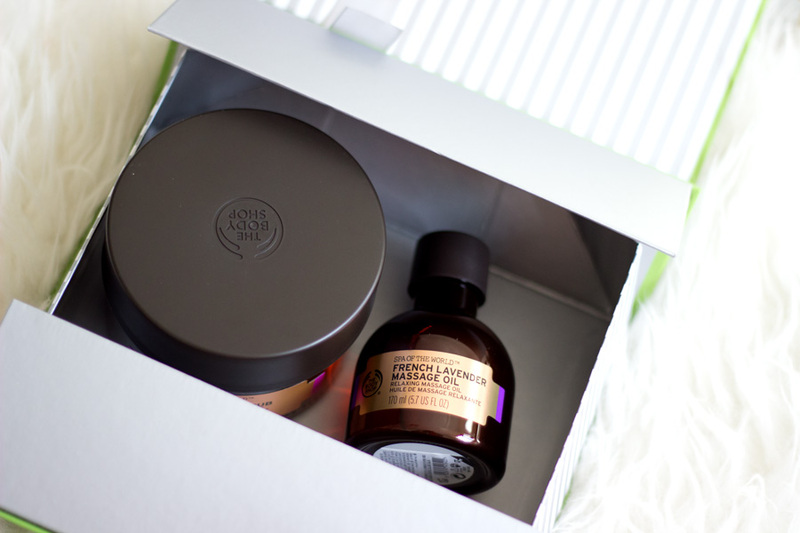 I feel if you get benefits from using a good skincare product, it makes it worth the splurge.. 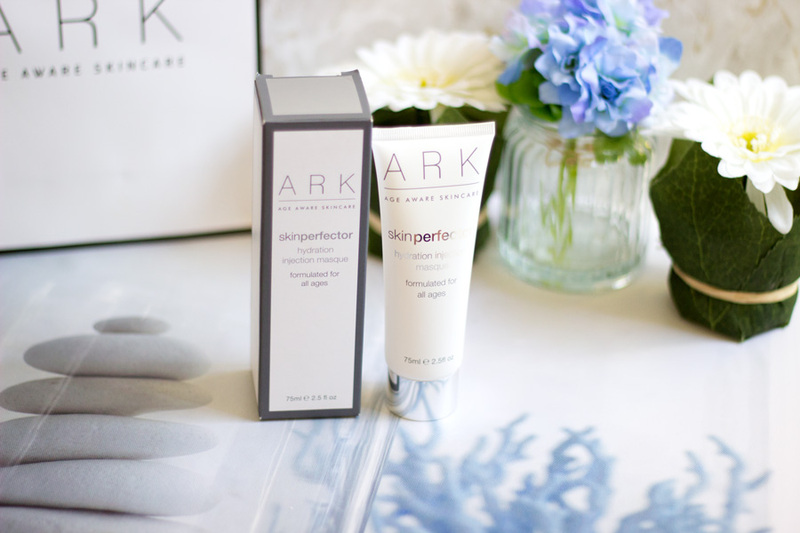 However, the ARK skincare website have some really good offers where you can get discounts and offers. They also have a Flagship Spa/Salon in Putney, London which I have heard many good things about. I guess if you pop into one of their spas, you can always ask for a sample to try out at home. I have really enjoyed using it and I always turn to it when my skin is being dodgy because I know it would help rebalance things. 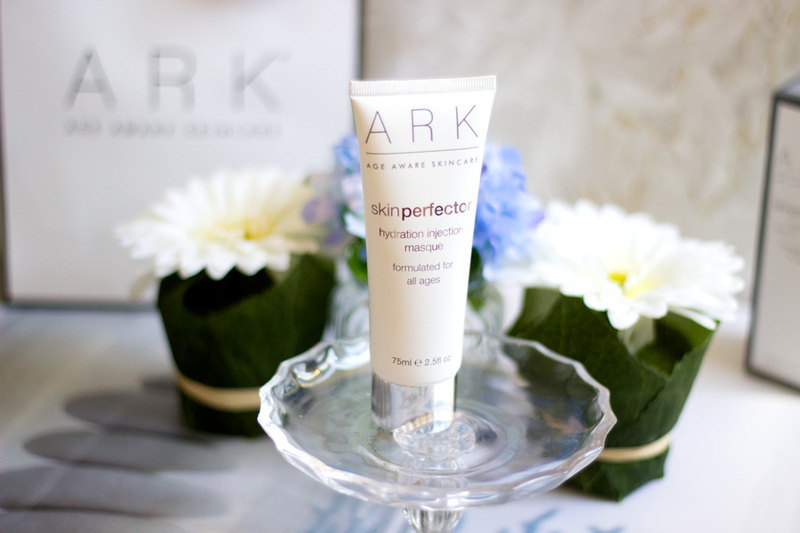 I am really pleased I had the chance to test this lovely masque out and also being introduced to Ark Skincare. Based on this mask, I do think they are an amazing brand. 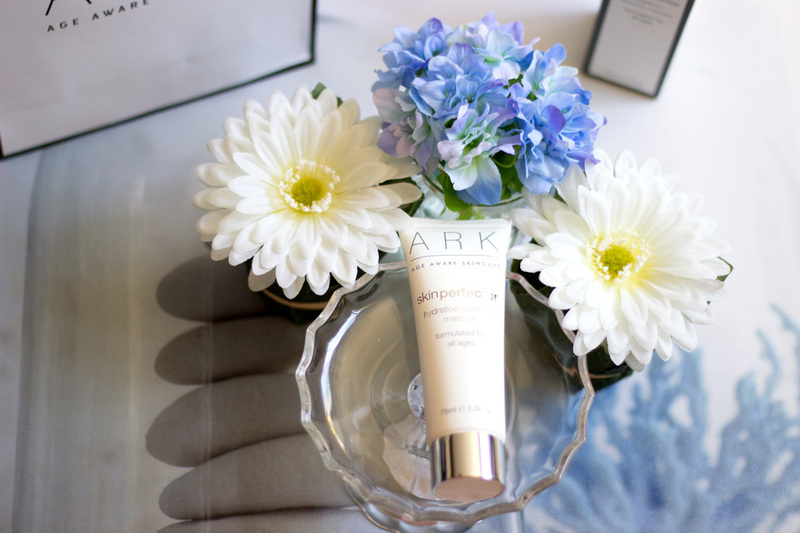 That's pretty much my thoughts on the Ark Skincare Hydration Injection Masque. 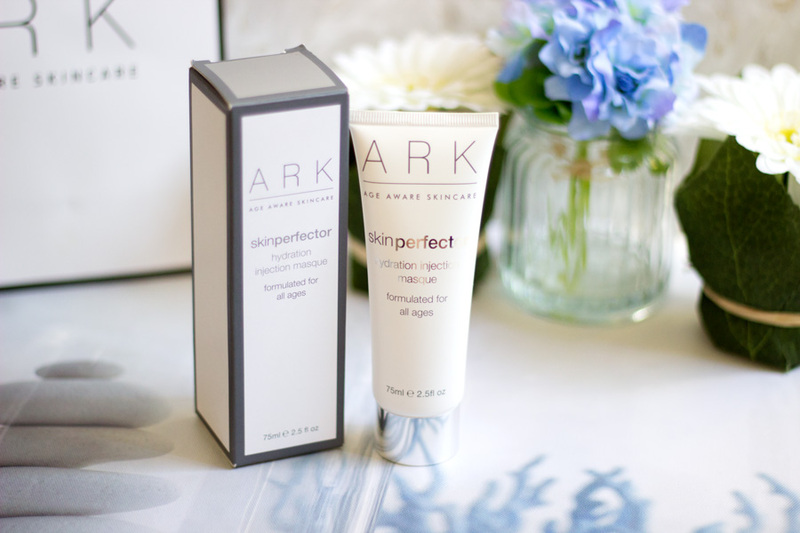 Have you tried any products from Ark Skincare? I am keen to know your thoughts. Yeah, you did not have to go far to find out my favourite from the range and I have mentioned this cleanser a few times here and here. 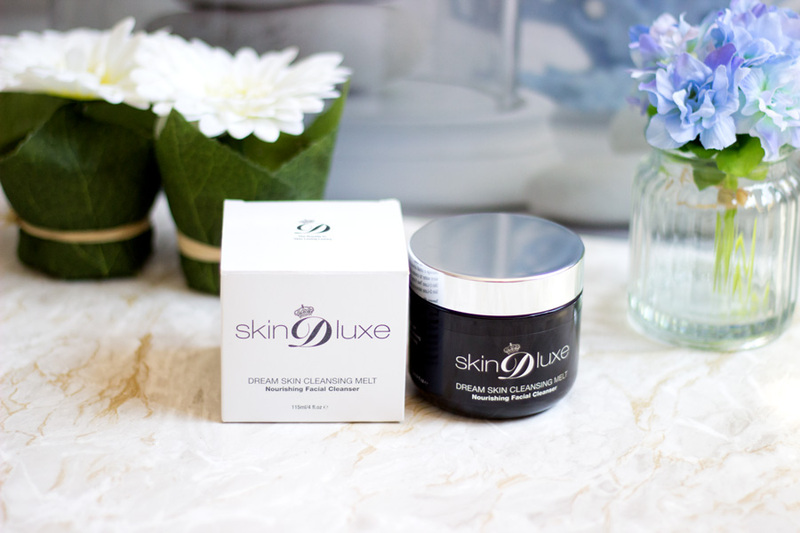 The Skin D-Luxe Cleansing Melt is the most used product I received from this range and I absolutely love it. 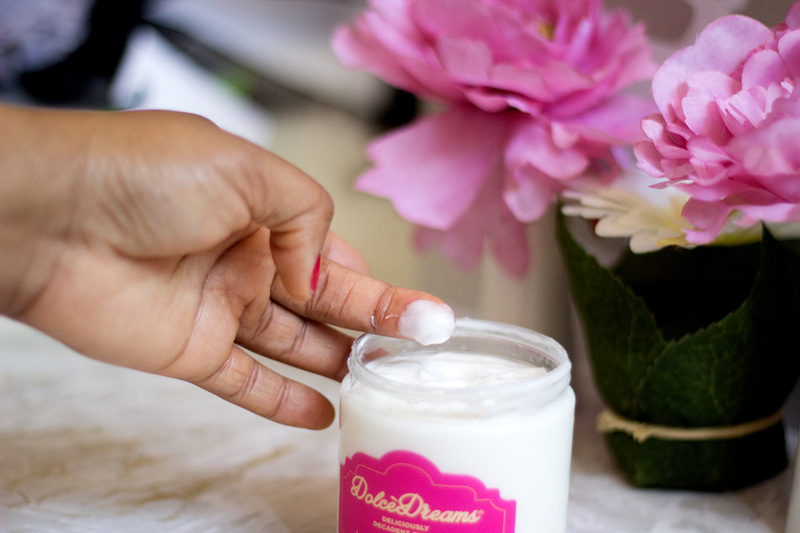 I am a huge fan of using cleansing balms to take off my makeup especially now that the weather has changed and my skin craves products that feel nourishing. 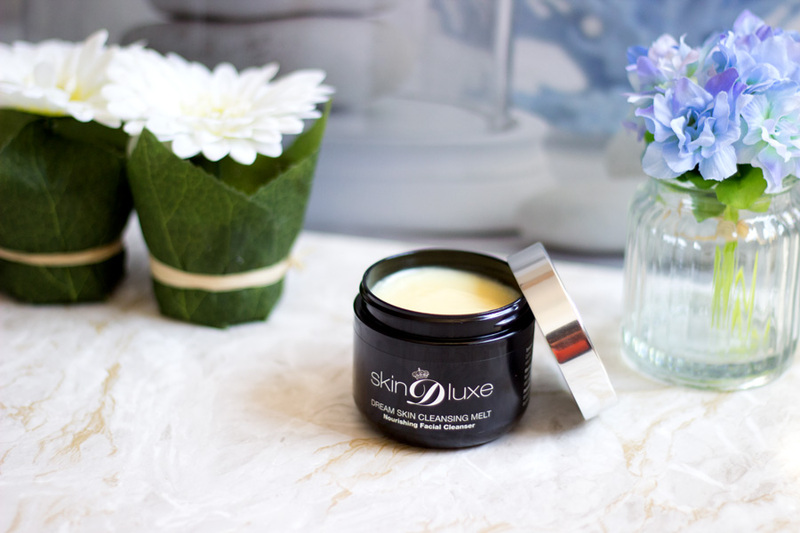 The Skin D-Luxe Cleansing Melt is so easy to apply and you only need a little as it goes a long way. I take a little amount of my finger tips, spread it across my face and it just melts so easily. I remember when I hated using anything greasy for my face especially when it had makeup on it as it just felt like I was being messy with my makeup. However, I have been full converted after I got really good results. I dare say that using cleansing balms or oils are one of the most effective way of removing makeup because oil melts off makeup so easily. 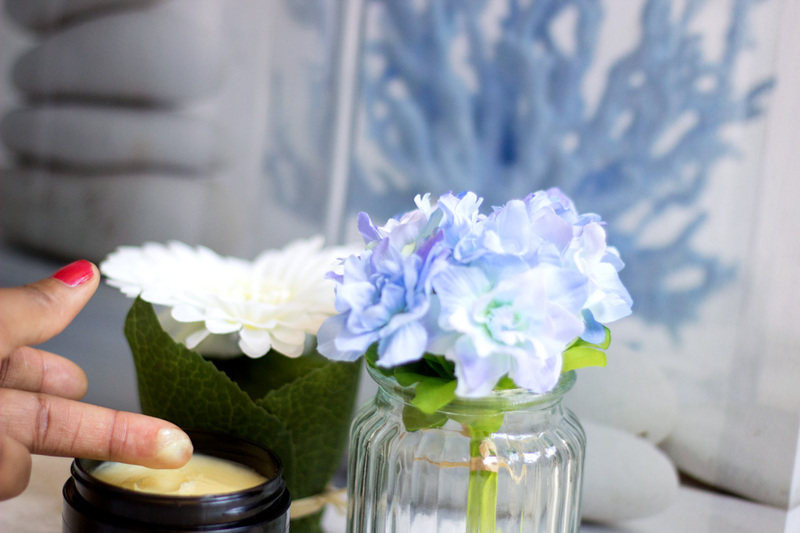 I think I prefer using cleansing balms because they feel more nourishing on the skin and slightly less messy than an oil although they work in the same way. It is enriched with Tamanu Oil, Moringa Seed Oil and Palmitoyl Tripeptide -38 which makes it not just a good makeup remover but one with added skin benefits. There are two ways I use it in removing my makeup. The first way is using a muslin cloth (run over hand-hot water) or just washing it off with warm water. Both ways are really effective but I do prefer to use it with a muslin cloth because I can use that opportunity to remove any stubborn eye makeup. 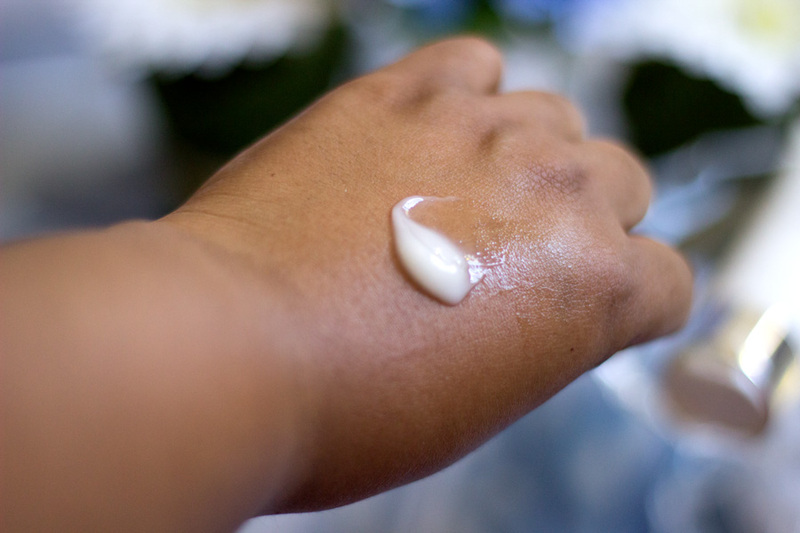 If you choose to use warm water directly to remove it, it turns the balm to a milky emulsion which rinses off easily. I have used some balms that still leave a greasy film on the face after rinsing it off but I am so glad this does not do that at all. Once my makeup is removed, I proceed to my second cleanse with any of my favourite cleansers and my Foreo Luna Mini*. 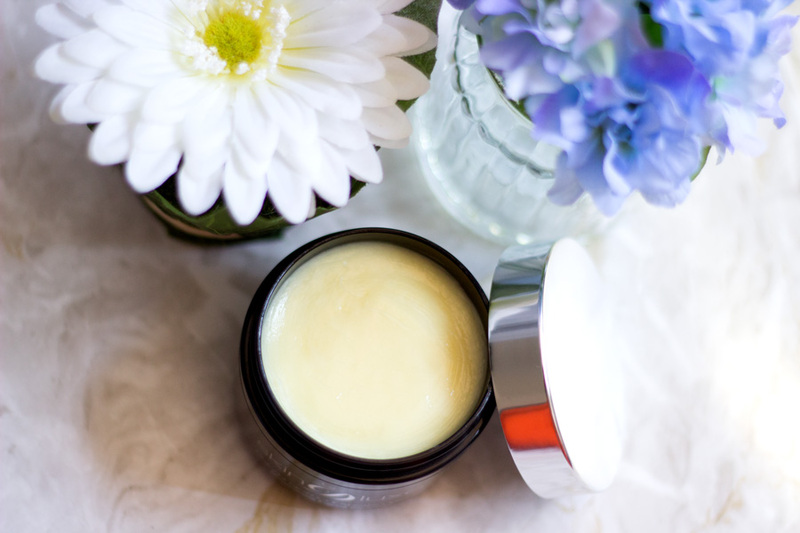 I really enjoy using this cleansing balm because a little goes a long way. I think I may have used 1/8th of it (I took these pictures last month which is why it still looks full). If you want to try any new product from the range, I highly recommend trying the Cleansing Melt out and at the price, it hardly breaks a bank and would last a long time. The first thing that stood out for me was the packaging which looks so portable. Most of the moisturisers I have come with slightly heavy packaging but I like this one because it is so light and easy to travel with. It is described as an age defying moisturiser which makes me think it is targeted towards more matured women/skin. It is enriched with Essential Fatty Acids, Watermelon, Lentil and Apple Extracts among other ingredients which are good for all skin types. 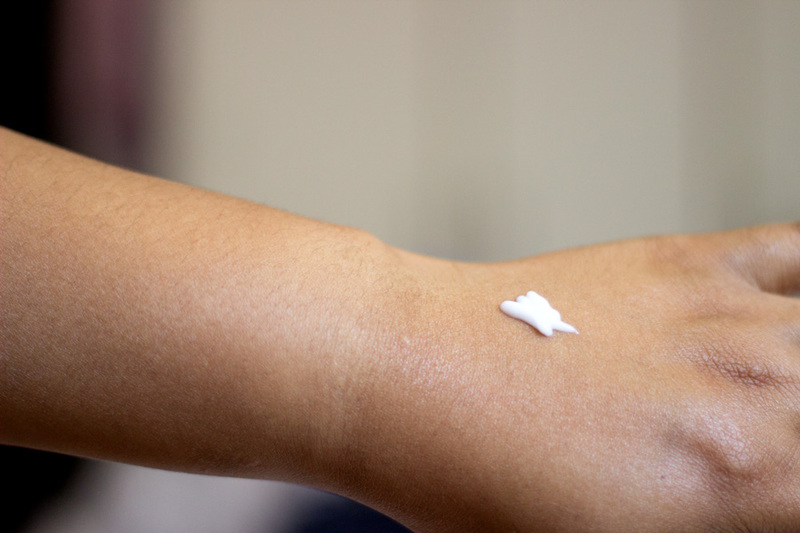 The texture is quite a light one which I like because I am not a fan of moisturisers that feel greasy or sit heavy on my skin. I love to use this when I travel because it is really portable. 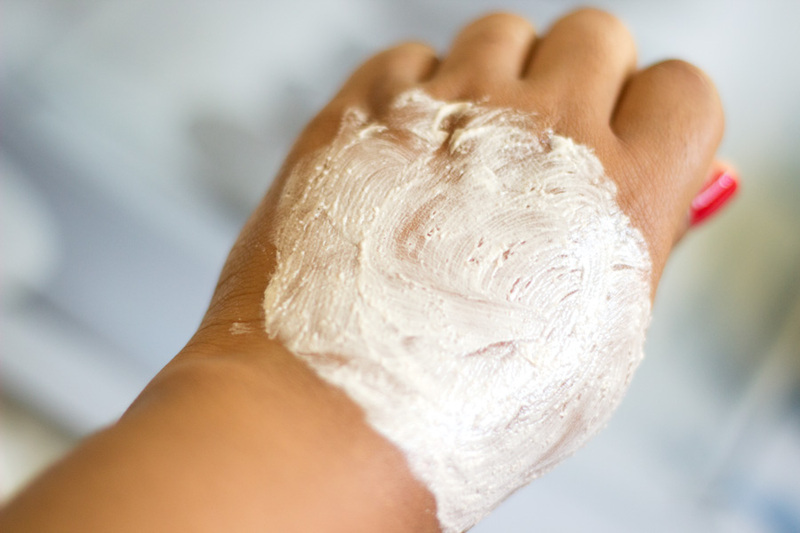 If you have drier or very dehydrated skin, you may want to try something that feels a little more moisturising than thi. However, I prefer its texture for my combination oily skin. It has a pump which is always handy and more hygienic for dispensing products. I won't say I have seen any outstanding benefits per say because I already mentioned it may be better suited for more matured skin. However, I like its texture and how moisturised it keeps my skin. 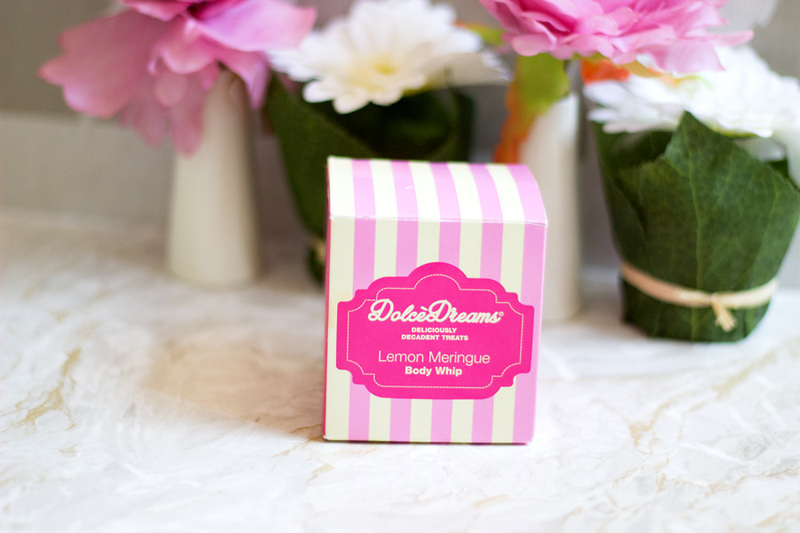 Now this has the prettiest packaging and I think it is so perfect for a girly night in or a pamper day because it is the perfect colour scheme. 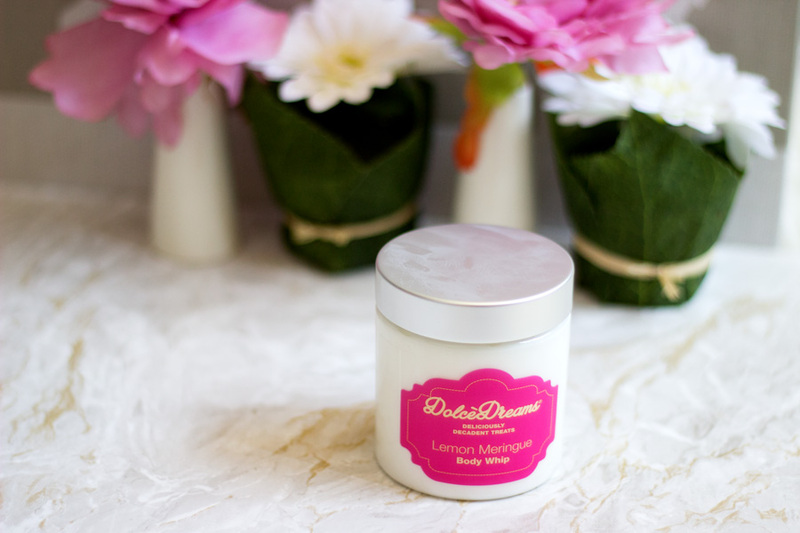 The Dolce Dreams Lemon Meringue Body Whip is a really indulgent body butter which literally melts into the skin on application. 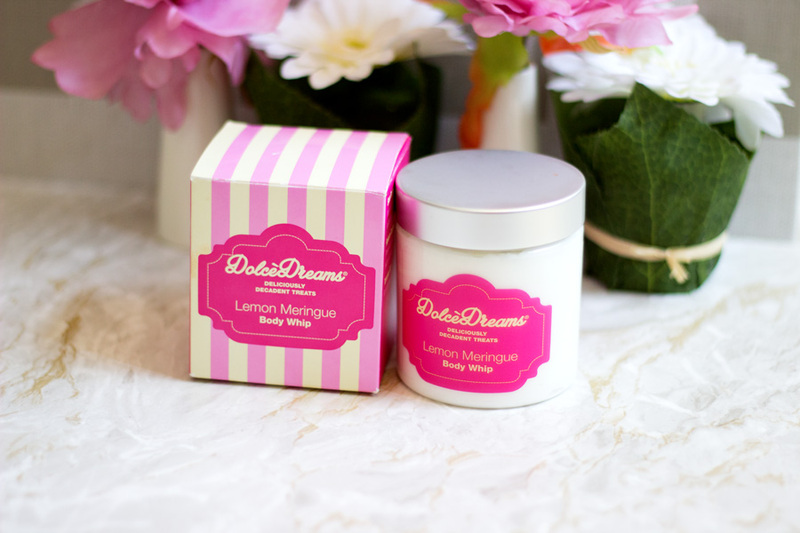 It smells exactly like a lemon meringue pie and dare I say a little tempting that you may want to taste it. It has such a lovely texture exactly like how other regular body whips should be but this feels much more like whipped cream (Not as thick though). 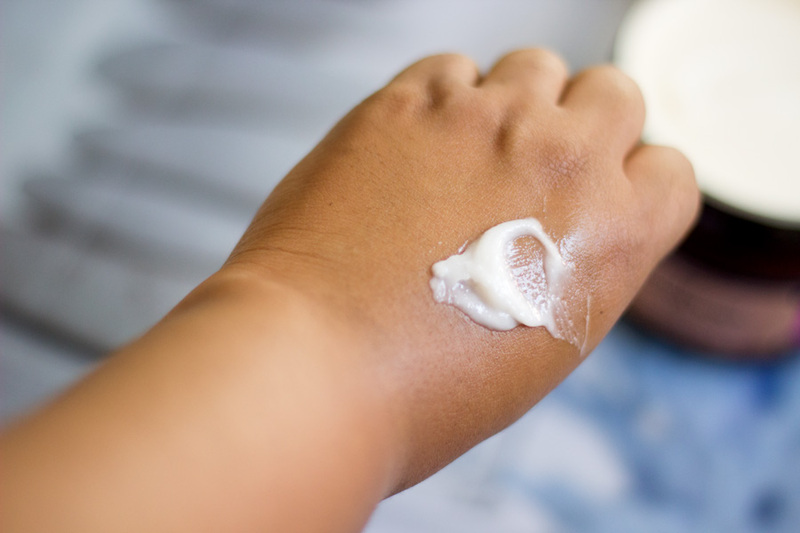 It has Shea and Kocum Butter as well as Tamanu Oil among other ingredients in its formulation and I guess that's why it does a good job at retaining moisture on the skin. I love how it applies on my skin and it's perfect for use straight after a bath or shower as it helps with moisture retention on my skin. I don't use it everyday because I do have other body moisturisers but it is one I reach for on pamper days because it just feels so good. I need to actually do an updated pamper session for Autumn because I have so many exciting products I have been trying. 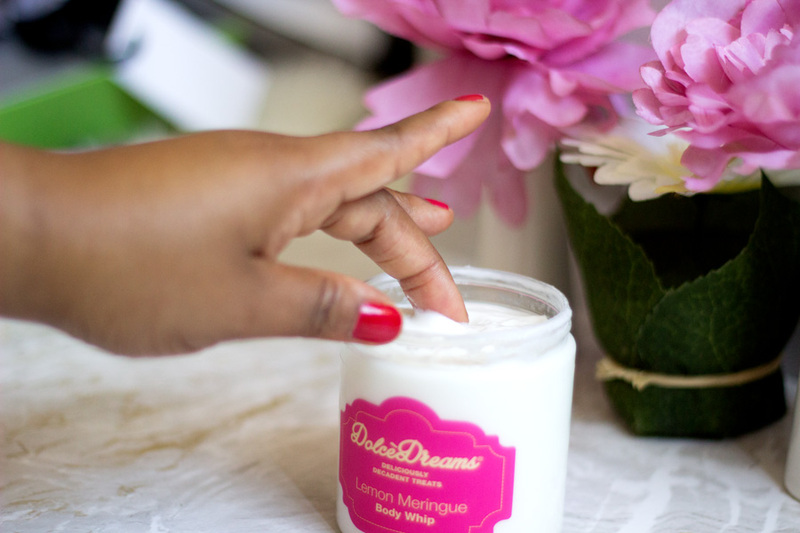 If you are into Body Whips or Body Butters that have delicious fragrance, this is one to check out. It would also last a really good while as well. There's not much to say except that I like it and it smells amazing. I already mentioned that I was very impressed with the Fake Bake Beauty range and I am so pleased I got a chance to try it. I do wish it was easier to purchase apart from their online store and perhaps they will expand soon. I do think their skincare line is very reasonably priced given the quality and ingredients used (although I do think the Body Whip is slightly on the expensive side of things). 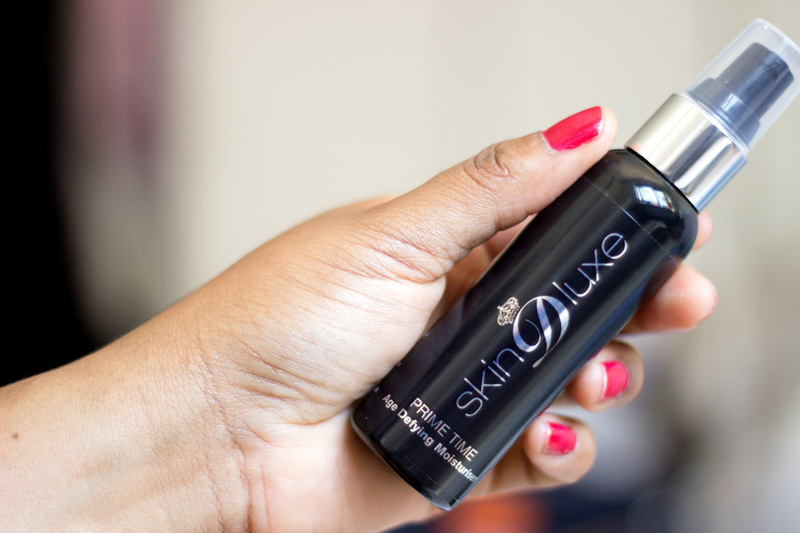 If I were asked to choose just one product from the Fake Bake skincare range, I would definitely pick the Skin D-Luxe Cleansing Melt. I already mentioned that I use it almost everyday and it's so perfect for this weather when my skin really craves something nourishing and indulgent. It's one I would repurchase if it ever runs out and trust me, I don't think it would at any time because a little goes a long way. That's pretty much it. Have you tried any product from the Fake Bake Skincare Range?